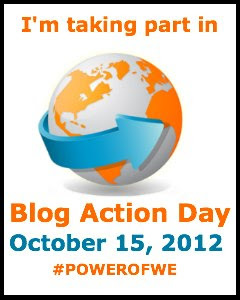 today is blog action day- #BAD12 -and this year's topic is "the power of we". their website states that they chose this year's theme as "a celebration of people working together to make a positive difference in the world, either for their own communities or for people they will never meet half way around the world." quilters are, as a rule, super generous. 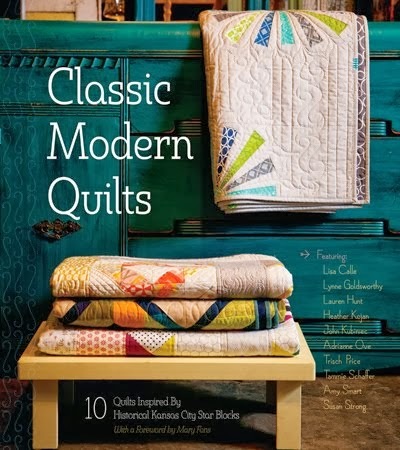 they may not start out that way - but as their pile of quilts and fabrics grow, they start looking for new ways to enjoy their hobby and share their creations. and so, many of us turn to charity quilting. 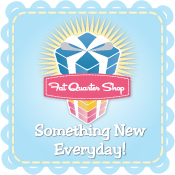 the growing online community of quilters has made it easier than ever to join in and help those in need. i used to think "who would put all the time and money into making a quilt, just to give it away?!" but the answer is, a ton of people! to date, i've donated one completed baby quilt, one quilt top, and numerous blocks, as well as small quilted items for charity raffles. if you belong to a quilt guild, they usually have an ongoing charity project. in our guild (the KCMQG) we make fetal demise pouches to donate to hospitals. the beautiful fabrics are donated by anna maria horner. making these pouches is an emotional experience. most of us know someone who's lost a baby during their pregnancy, or have experienced it themselves. i teared up, thinking of family and friends who could have used one of these to help ease their pain. before i joined, they had made blankets for the NICU. and the Modern Quilt Guild recently collected blocks for a quilt con challenge, and quilts will be made with them, and donated to the austin's children shelter. i keep thinking what a cheerful environment that will be, with 46 beds covered in colorful modern quilts! i'm also a member of an online charity quilting bee. created by rachel at stitched in color, the flickr group do. good stitches creates all kinds of modern charity quilts. the finished quilts go to lots of different organizations, but they are all made by small circles of quilters who donate their time and fabric. if you'd like to see some of the finished quilts, here's a link. there are more than 200 members worldwide! i belong to the inspire circle, & each month i make 2-3 blocks for another bee member, who then puts them together into a quilt. if you are interested in joining a circle, check out the flickr group for more information. another way people can help is through quilts for kids. 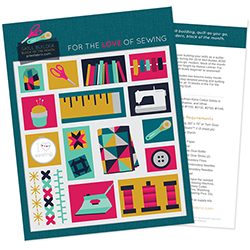 you can request a free kit from their website, and they will send you the fabric and pattern to make a quilt. you create the quilt and supply the batting, and then return the completed quilt to them. robert kaufman fabrics is a supporter, with a special line of fabric called "animal party" (designed by amy schimler) and portions of the proceeds from the sale of that fabric go back to the charity. the patterns are simple, and i think this would be a great way to teach a beginner's sewing group. and it would be remiss to not mention quilts of valor. they create quilts for servicemen and women. i've not worked with them much, but i have several friends who make lots of quilts for the project! or if you're a beginning stitcher, and nervous about quilting, maybe you could start with a simple pillowcase. allpeoplequilt.com has a one million pillowcase challenge going on, and trust me, once you make a pillowcase you'll want to make another! they are so easy, and fun to customize. hey tammie, none of those projects seem like something i'd want to get involved in! don't worry, there's help! the book Quilting for Peace: Make the World a Better Place One Stitch at a Time has tons of great ideas and contact information for other organizations who can use your support. after reading this book, i was inspired to make bedding for the local animal shelter. i never would have thought of it on my own! call your shelter, see what they need. or maybe you want to be like the green bag lady, and give away cloth shopping bags to help reduce the number of plastic bags used worldwide. all of the bags are made from donated fabric by volunteers called bagettes. 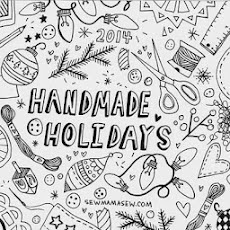 here's a link to the free pattern, in case you want to make your own bag. as of this week, they have given out 22, 241 bags! wow! i have two of them myself, one is made of gorgeous amy butler fabric.